As part of a year end promotion, eMotimo gave a discount on their new Spectrum St4 four-axis motorized controller, so I jumped in on the upgrade from the TB3. Unfortunately, it's 6 degrees outside today in Wisconsin, so I'll be testing this in the comfort of my basement. Here are my initial thoughts on the St4. I purchased the eMotimo Tb3 Black almost 3 years ago to increase my time lapse capabilities. The cost at the time was $999, which also included the remote, camera cable, and soft case. The Spectrum St4 is listed a $2,299 and includes the remote and hard case. 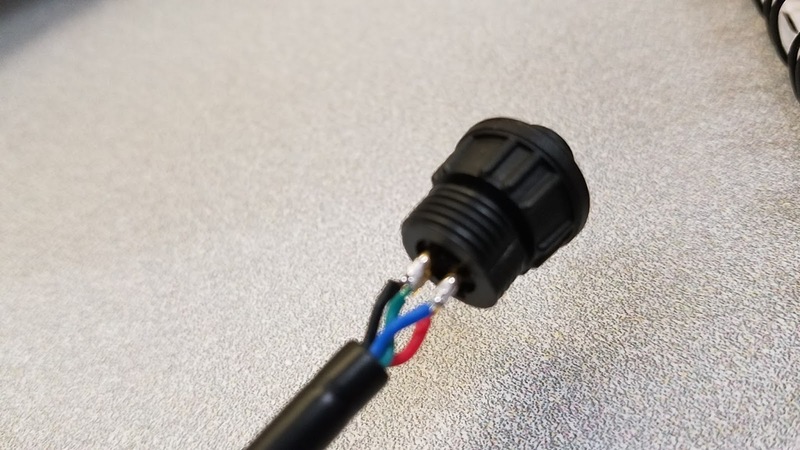 You need to replace any cables for use with the stepper motors that were purchased from eMotimo, or replace the plugs on 3rd party stepper motors. You will also need to have an "L" bracket. I already owned the Really Right Stuff "L" bracket for my 5D Mark III by canon, so I was set. The St4 is definitely geared towards the use of video than the Tb3. While the TB3 can do video moves, the motors are loud and not as fast as the St4. The spectrum St4 uses a Playstation controller, which feels better and more natural to use. I personally don't do a ton of video, but the real time motion control smooth and also features a quiet mode. One change is the implentation of Arca Swiss plates and mounts. 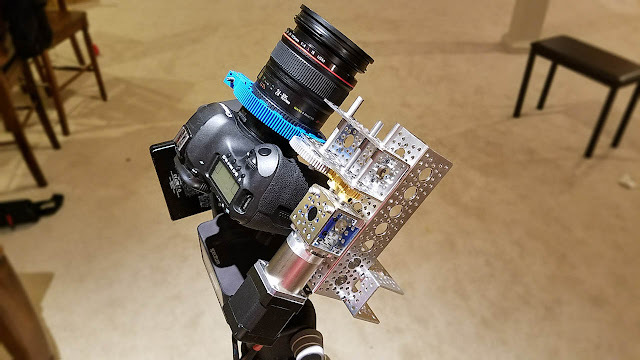 This makes it very easy to attach to the tripod or rover. It has built in levels which is very nice. Since the TB3 had the motors external to the controller, you were limited to about 360 degrees of rotation. With the St4, if you attach the battery pack to the side, you can rotate unlimited times, since the there are no cables to get in the way. 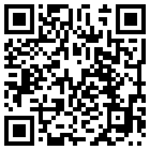 The interface and menus are easy to navigate, and are easy enough to follow if you ware familiar with the Tb3. One nice feature is the addition of a built in joystick on the St4 unit. This will be valuable if the battery on the controller ever dies. I needed to make a few modifications to the DIY Rover I used with the TB3 to be compatible with the Spectrum St4. The stepper motor connectors were different. I have documented the process and wiring diagram here. 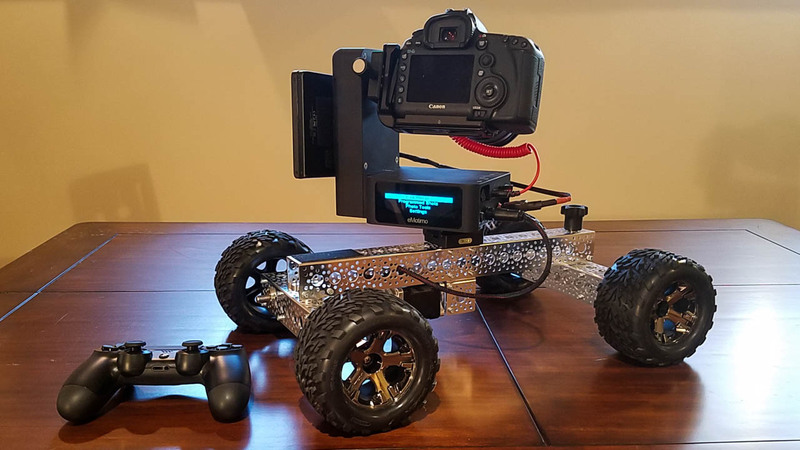 Driving the rover with the Ps4 Controller is great, and it now has a slightly lower profile. Now that the St4 has 2 external motor ports, I may modify the rover to be able to turn in the future. 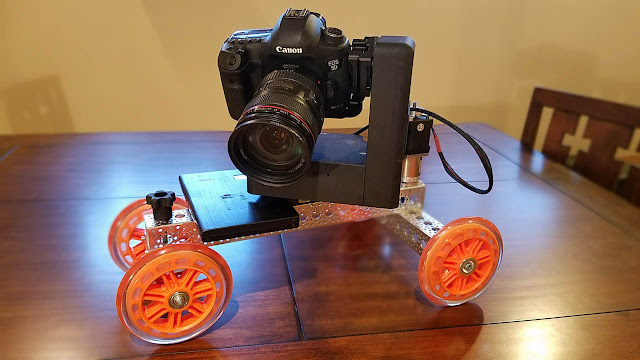 After eMotimo released their version of the mobile cart, I built one with ServoCity Actobatics parts for smooth surfaces. I will need to replace the plug on this cable too. 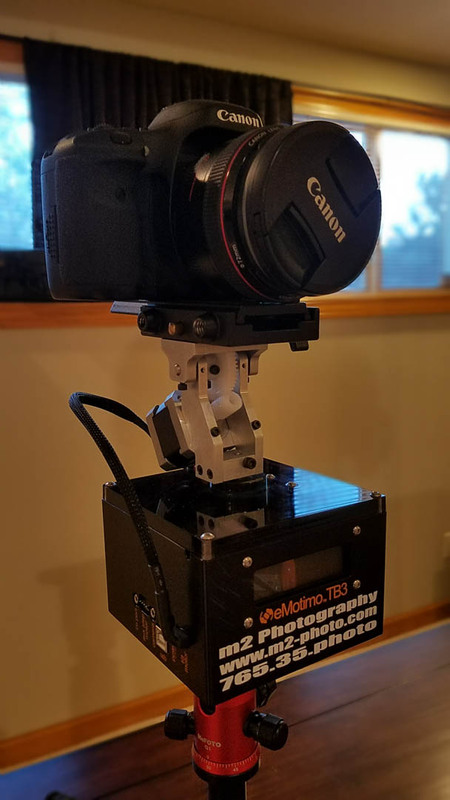 I needed to completely rebuild my follow focus / zoom rig. However, since the St4 has multiple motor ports, I should be able to to linear motion on the slider as well as use zoom or focus. I need to order a few more parts to clean this up, but when I'm done, it will have the ability to modify both zoom and focus. Right now, it will only do focus. eMotimo is releasing the Fz, or Focus, Iris, Zoom, which is a much more elegant solution for use with the St4. This just shows the DIY's that it's possible to save a little money by building your own. I really like the ease of use of the Spectrum St4. I did the upgrade offer where I saved off the purchase of the St4 if I sent my TB3 back. I haven't done that yet, as I thought maybe I'd do a time lapse using both, but not sure if the weather will cooperate. I am not sure the St4 has that many more features to be worth the cost more than double that of the TB3, as I have had to do a lot of work to get all of my custom integrations to work. I really struggled deciding whether to pull the trigger because of the price, but think now that I have it, I'm happy with the purchase. The hard case is a nice touch. It seems to be similar, although maybe slightly lighter than most of the pelican cases that I have. I personally love the quiet mode and real time control of the 4 axis motion. The quality of the new build is exceptional, and looks more professional than the TB3. I look forward to using the Spectrum at a big part of my photography and video workflows. I recently upgraded from the eMotimo TB3 black to the new Spectrum St4. Although the products are from the same company, the interface to the stepper motors is different. I have built a number of custom projects that work with the TB3, like 2 rovers, a rotating turn table, and zoom adjustment rig. I also have a 6 foot slider that I'll use with motors purchased directly from eMotimo. In order for the St4 to work with the 3rd party stepper motors that I purchased online from www.omc-stepperonline.com, I had to purchase a bunch of new interface plugs. I don't have an exact part number for these, as I acquired mine from eMotimo directly with my purchase of the Spectrum St4. 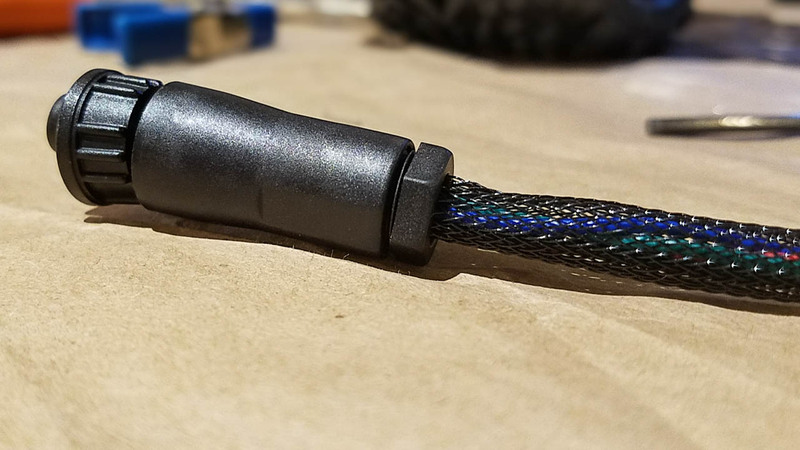 If I had to guess, I would say it's a 4 pin aviation connector of some type. 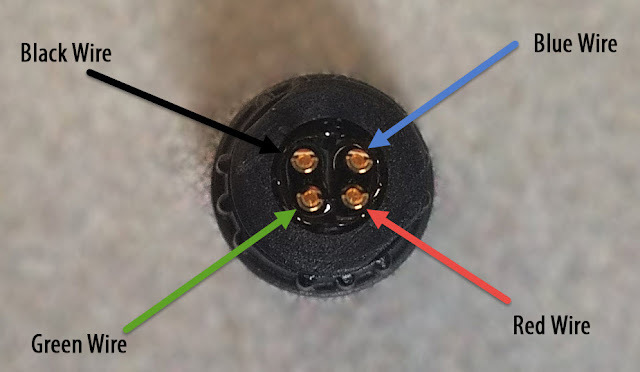 Here is an image of the wiring for the new plug that ships from eMotimo for the motors that they sell with the wiring connections exposed. 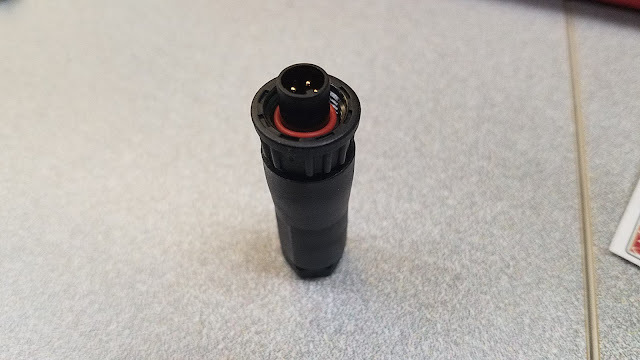 Here is the connector that is specific to the stepper motors that eMotimo sells. 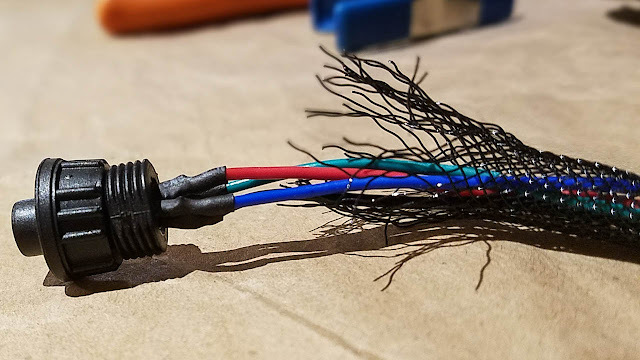 Luckily, the 3rd party motors that I have use the same color wiring. 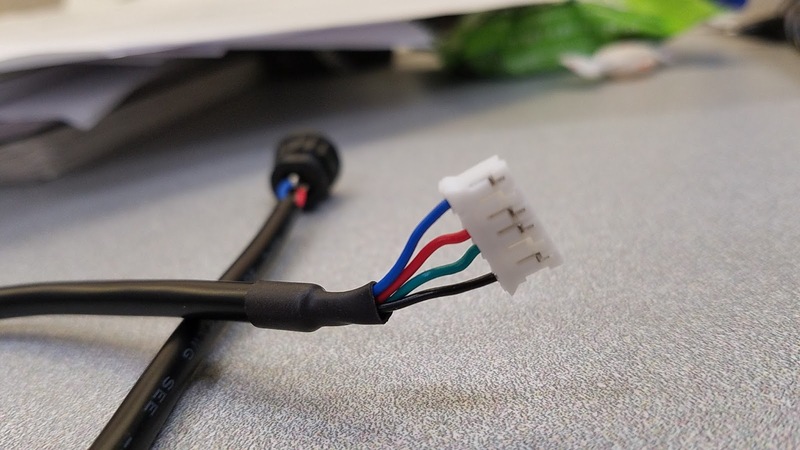 For the TB3, the wiring on the Molex jumper connector is not the same colors, so you would use this as your conversion. Here is the completed cable after replacing the old molex connector.